‘Solon for Synthesis and Ecological Civilisation’ is a Non-Government, non-profit Organisation, which was set up at Makri, in the Prefecture of Phthiotida, Greece, in 1994. The aims on which the members of ‘Solon’ take voluntary action were based on the observation that the course to be followed by an ecological civilisation, built upon sound human relations and in the spirit of sustainability, is linked with a host of other issues. These issues need, in parallel, to be highlighted and resolved. In order for their understanding and resolution to be achieved, Synthesis is required. The aims which have been selected by the members of ‘Solon’ are those which have been seen as keys to the basic aim expressed in the organisation’s name, and, certainly, those on which voluntary action develops. The pluralism and the very broad field of action of these aims were the initial consideration, and this also emerges from the action which has developed and is developing systematically – as far as possible – as to each aim. The activity of ‘Solon’, up to the present, has included a list of actions and initiatives which goes beyond those which – briefly stated – follow below. 1. The operation of an animal welfare station whose principal activity is the rescue and treatment of injured animals. 3. The writing, translation, and publication of books, educational packages, photograph albums, guides, pamphlets, etc. 4. The production of audio-visual material (videos, television and radio spots, production of music, special audio-visual programmes, etc.). 5. Submission of proposals to public organisations and civil society. 6. Organisation, joint organisation of, and participation in conferences and day conferences. 7. Briefing and awareness raising of the public to environmental, cultural, and other issues. 8. 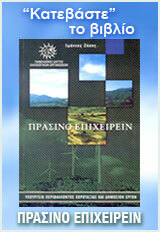 Participation in networks (such as the Panhellenic Network of Ecological Organisations, the Network of Voluntary Organisations of Central Greece, the Federation of Voluntary Organisations, the Mediterranean Information Office for Environment [(MIO-ECSDE)] and the Earth Charter Initiative). 9. Participation in social enterprises, collaboration with other NGOs, and statutory agencies for the protection of Natura areas, or other environmental actions. 10. Environmental, political, and cultural action through our website on the Internet. 1st Aim: Ecological sensitization, protection of the environment and bio-diversity, promotion of the idea of viable development and sustainability. Without a disaster scenario approach, the problems of the environment are the strictest judges of the future. 2nd Aim: Promotion of ideas and effective policies on the equality of the two genders, and of social groups in the community, at work, and in decision-making. 3rd Aim: Proposals and action for the elimination of inequalities within a region and of social exclusion, with policies on equality, employment, viable development, and inter-regional understanding and collaboration. 4th Aim: Development of volunteering, of the spirit of sponsorship, of network collaboration, and of team spirit. Promotion of social responsibility· and· of· the capability in participation. 5th Aim: A contribution to the shaping of an alternative economic model, in which attention will be drawn to the possibilities of the sharing of the economic product, and the social character of economic development. 6th Aim: The development of cross-cultural awareness, tolerance of diversity, and of anti-racist policies. A contribution to creative inter-faith dialogue and to an alternative, creative relation between religion and politics. A liberating and promoting co-existence and pluralism, civilization. 7th Aim: Support for human rights, deepening and advancement of democratic ideals in Greece and the internationally. Development of systems of political quality, innovation, and planning. Reduction of the gap between citizens and politicians, policy and the political. 8th Aim: Promotion of systems of international consultation, peaceful development and creation of structures of verification for international relations. Setting up of an amphictyonic* global village – a modern theme park of the international community of citizens – of mediation for a peaceful solution of disputes, and of co-operation. Support for the Olympic truce and other similar efforts, in collaboration with UNESCO, the United Nations, and other agencies of universalism and co-operation. 9th Aim: Participation in the European process for a unified common course. Highlighting of European civilization as a factor for unification and new initiatives of collaboration in the· Euro-Mediterranean zone. 10th Aim: Promotion of creativity, quality, and synthesis in all the manifestations of civilization. Creation of an ideas· bank. Infrastructures and actions of a cultural ark, creation of a support centre for human creation in the new century, and of participation in the currents and trends towards alternative modernism. 11th Aim: Development of a support network for innovative, alternative and pluralistic· thought and dialogue between tradition and progress, modernism and the cultural heritage, the old and the new. 12th Aim: Cultivation of quality, effectiveness, and equality of expression of speech,· in· the forms and media of communication and dialogue. 13th Aim: In the society of responsibility, knowledge, opportunities, and technological developments, the integration and making universal of· education· is crucial· for bringing man and ecological humanism to the epicenter. 14th Aim: Dissemination of the practices of good will, of correct human relations, and of quality practices in everyday life for the inner and social achievement of happiness and for the social development of the personality;· diffusion of knowledge and skills, and accessibility to· information, which will contribute to democratization, and the inner development of man. We believe in the necessity of creating open fields of knowledge and education. We have also arrived at the historical reference to ‘Solon’, inter alia, through the needs for a repositioning on issues of principles and justice, particularly, in connection with the necessity for an active seisachtheia**- a relief of burdens – at a world level, always in a democratic direction, but one which operates with a progressive anthropological approach. The second point is synthesis. We believe it to be absolutely necessary that all the issues should be approached with cross-referencing, but also with a synthesis between theory and practice. This presupposes another scale of collectivity at a world and local level, and another attitude of inwardness. The third point is ecological civilization. We speak of civilization rather than using other terms, thus setting as a basic point the need for cultural reciprocity and mutuality of man with the ecosystem. That is to say, man must begin to perform services of education and evolution, to give his communing, his sociability, his spiritual potential also to nature, which is, precisely,· where he has drawn these things from. He must begin, that is, to reverse the current of this depredation, and within the logic of, on the one hand, preservation and sustainability, but also, on the other, of evolution and of rising to new levels of expression and life in nature, to contribute, on his part, without counterfeiting it – maintaining a minimalism on his part, but at the same time also a spirit of service in relation to nature. We speak of ecological civilization also in the sense that man now inserts into his civilization the issues which concern the ecosystem;· he inserts and capitalizes all the planet-wide culture of nature in parallel with the planet-wide culture of the spirit. He inserts this into his civilization, which is no longer a civilization confined within a ghetto. This progression begins, at the very least, with full compliance with the needs of sustainability. i. Definition and recognition of the more recent past, of the circle of its ideas and values – of their topical potential and their problems. ii. Recognition of whether, and to what extent, we are the prisoners of a policy or of a state of fear about changing it. iii. Recognition of and dealing with the forms of totalitarianism, not only at the political level, but more generally. Expression of a planet-wide invocation of what is new, recognition of it, and taking part in it. Overcoming by societies themselves and by individuals of the confusion of the age, of disorientation, and of regressive pressure in dealing with problems. An approach to and development of executives, figures, functionaries and mentors with international dynamic, good will for co-operation and communication. Creation of transitional planning which poses a vision of freedom, synthesis, good will, proper relations, and· justice. Shaping of the· road· leading· to the above objectives and values. This must be done on terms of high specifications and with policies of action and change. To the extent, then, that there will be a distinction of choices, a planning of the changes and quality of group staffing and organization, the road is now one of concerted interventions and the broader utilization of globalised and internet communication for the circulation of ideas and the development of· practicable actions· in the service of evolutionary needs. – A spirit of service, in a unified concept of man, of humanity, of nature, of life, and of the spirit on the planet. These fields are open to group action for co-operative communication, recognition and approach for an intrinsic understanding, within the framework of practical actions and· proposals. It is time for us to assess, in a new way, what it is that we believe, our team work, and our own self, by means of a more profound and unbiased ‘Know Thyself’. This does not mean an enervation of the spiritual, the transcendent element, but a remediation of the self and of human relations. It means a spirit of good will, freedom, peace, and justice which is not distorted and does not favour the excesses of inequality and divisiveness. Our great challenge is how we will make the transition from strength, self-interest, and the prejudice, with which strength and self-interest go hand-in-hand, to values in their true dimension. Within the framework of the shaping of a unified approach to the proposals for the future and for joint action, we wish to function in a context of discussion on equal terms, with thorough processing, with the greatest possible approximation and synthesis of views. We are seeking to find practices for the realization and the creation of this alternative model which we present in this pamphlet. Within this general framework of principles, any of your comments, views, and approaches are welcome. Our inclination is not to see the issue only in internet terms, but also at a level of mutual acquaintance, recognition, and communication, so that broader collaborative action can emerge. * Amphictyony: Association of neighbouring states, formed around a religious center. In the 6th· century BC, the amphictyonic leagues maintained inter-state assemblies with extraterritorial rights and permanent secretariats. 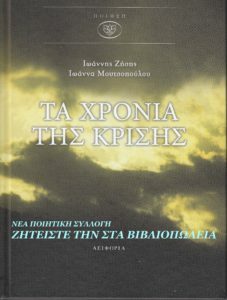 ** Seisachtheia: Land reform law, instituted by the Athenian lawmaker, Solon, which cancelled the previous legal status, where debtors – unable to repay their creditors- surrendered their land to them and became their slaves.